True or False? 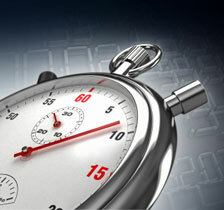 The speed at which your website loads does affect your search engine optimization results. If you answered True, then you answered correctly. A few years ago the answer to this question was actually false. However, Google and many other search engines are beginning to reward websites that deliver their content with very fast response times. The state of the web has reached a point where browsers can render content extremely fast and internet service providers now have the backbone to deliver even more bandwidth than they did just 5 years ago. Google has pretty much invested all it's eggs in the web browser basket and as they continue to roll out insanely cool web based applications they want the world to follow. Google isn't the only company makeing this huge push, many others are following closely behind. These companies are rewarding and training others to push the web technologies to the next level. At this point in the game every millisecond counts. Understanding how these technologies impact your website are critical in the next phase of site ranking. In this article we'll run through Google's free Page Speed analysis tool to enhance the speed of your site and cover how to read it's metric suggestions and explain what they mean and why you need speed. Well first and foremost it matters, because Google says it matters. And since they dominate the webosphere, blogoshpere and pretty much every other sphere on the web we should probably listen right! In reality there's a little bit more to the picture than just Google wanting things to be fast. There's actually a psychological profile tied to how people visit and respond to webpages online. 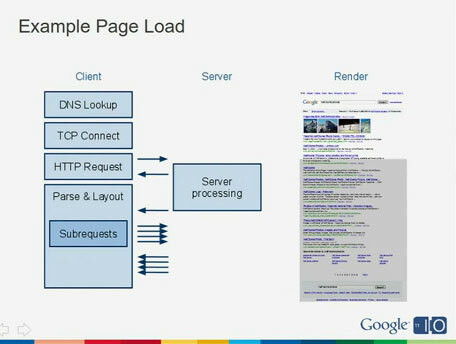 Google did a study a few years ago where they tweaked certain pages on the website to be 400ms slower (that's less than half a second). And the results were pretty astounding when they found out those pages began to lose a 6% decrease of users. If less than a half a second matters imagine what a full second or two might do. Another cost analysis was done by Shopzilla where they were able to decrease a 5 second latency across their entire infrastructure. This led to a 12% increase in sales and a 50% decrease in hardware costs. Giving them the net gain of making money while reducing costs. This next section is pretty technical, however I'm going to streamline the process for you so you can take what you need to know and actually apply the techniques to your website. As we can see in the image below a single page request to your website consists of many operations. The ones most notable to you will be the grouping of 4 arrows. This section is important because it demonstrates how every image and file that makes up your page requires an actual request. So, what does this mean in general? It means that you need to use images, plugins and other resources sparingly. If an image doesn't serve a purpose, don't include it. If a plugin really adds no real benefit to your page then consider it's usage. Busyness does not equal quality content. With that said, it is also important to know that aesthetics (your look and feel) do matter. This is where you have to learn to balance your content and use resources sparingly. In the video below we will run through how you can run the Page Speed tool on your website and gain an understanding of the output. In the next part of this series we'll be running through “how to apply” techniques to each of these Page Speed suggestions so you can get a score that is close to 100%. For those of you who are not really technical, I'll show you how to do almost all these changes without any programming skills. So stay tuned and spread the joy! Do you think it's important that page speed is considered in rankings? Well Cory and Nic, perhaps not chaos and self feeding it’s more like enabling and progress. I’m 66 YO and have been in the business since the vacuum tube and have spoken with Grace Hopper and used mercury delay lines as short term memory. I can remember an old rule I developed about my brief cases. Remember those? Think laptop case. Perhaps not. Think iPad sleeve. Well my rule was when buying a new brief case first imagine it filled with bricks and if the handle or the latches or the case broke then get a better or smaller one. My work load never decreased so that smaller thing never worked out. I find it ironic that with all the broadband and blazing speed of computers these days that we still have to focus on minimizing page load speed.